40.00 " x 40.00 "
Framed: 41.00 " x 41.00 "
Seven contiguous generations of Andrus family have farmed this land since they settled here in the late 1700s. The main barn (pictured left and center) was built in the mid-1800s and the structure on the right was added on in the 1960s. The main barn originally housed 30 dairy cows which grew to 100 in the late 1970s. The herd was sold in 1986, but the land is rented for dairy cows to this day. 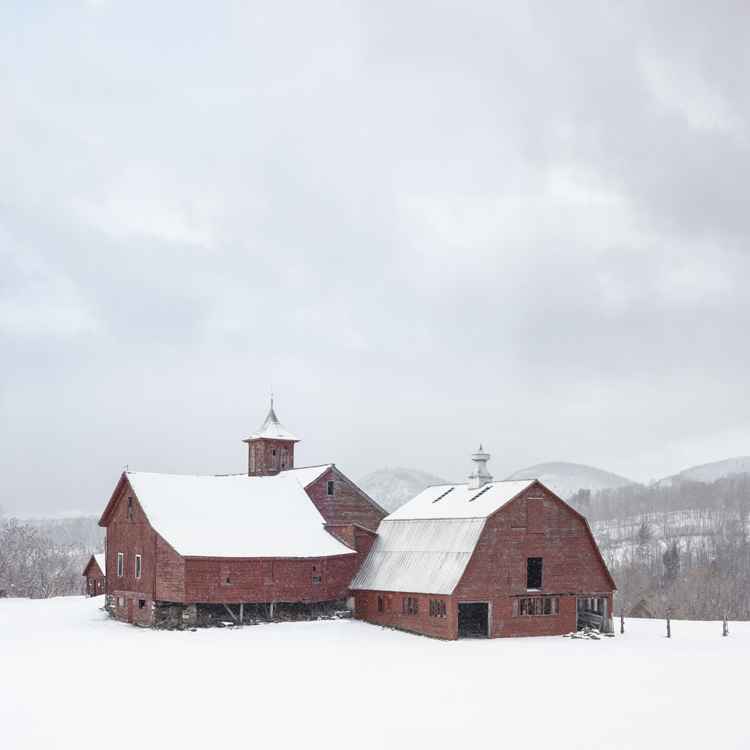 The Vermont Preservation Trust has visited the barn in recent years and was happy to report that the original structure remains remarkably sound. Status: Used for hay and storage.